I assume that you have already installed Eclipse in your PC. 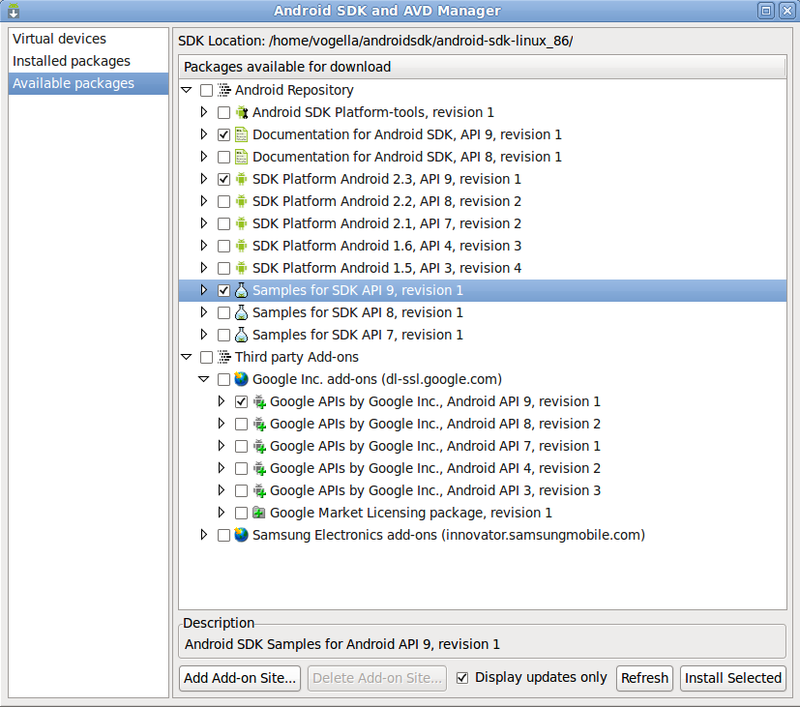 Then after this you need to download the Android SDK. The download contains a zip file which you can extract to any place in your file system, e.g. 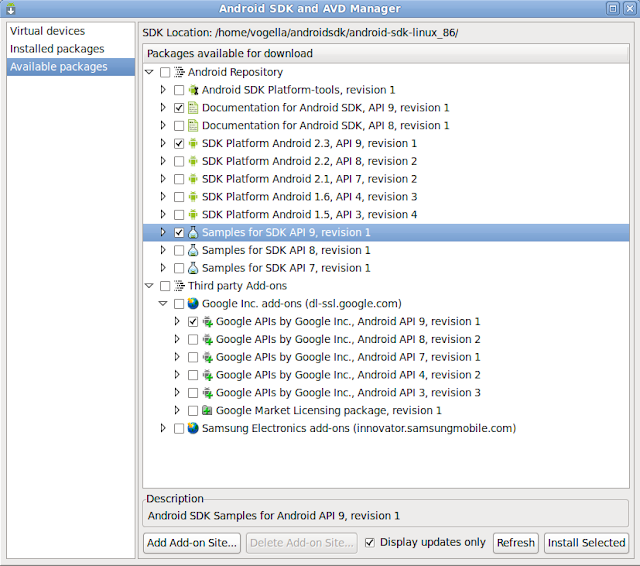 I placed it under "c:\android-sdk-windows" . Press "Install selected" and confirm the license for all package. After the installation restart Eclipse. 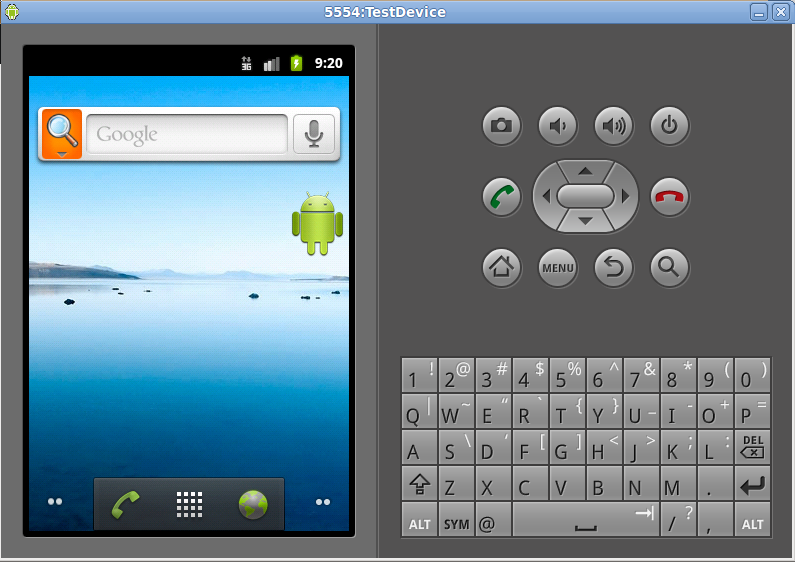 The Android tools include an emulator. 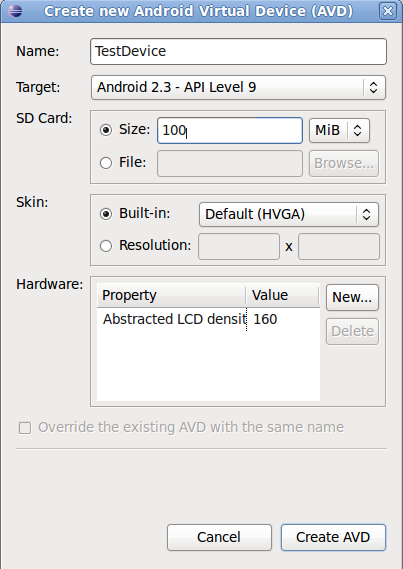 This emulator behaves like a real Android device in most cases and allow you to test your application without having a real device. You can emulate one or several devices with different configurations. 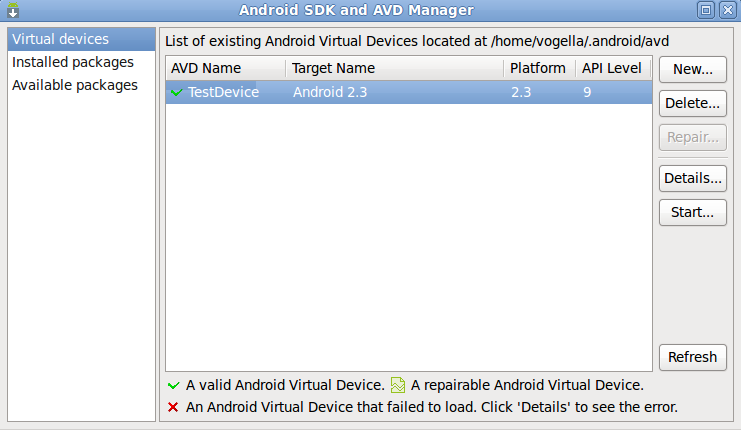 Each configuration is defined via an "Android Virtual Device" (AVD). To define an AVD press the device manager button, press "New" and maintain the following.